Gum disease, or periodontal disease, affects roughly 80% of all adults in the United States. Yet many have no idea that they have it, as the symptoms of early stage gum disease can be quite subtle. 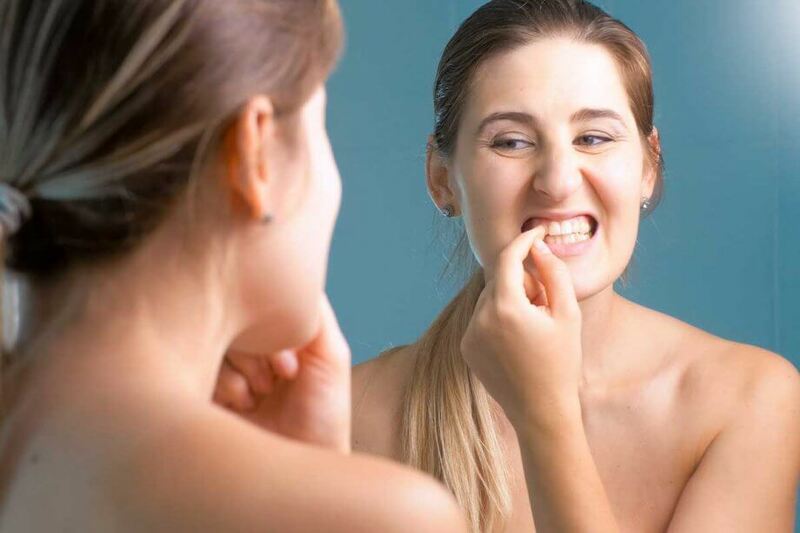 However, it is vital to recognize the warning signs, as gum disease is easy to halt and reverse in its early stages, but increasingly more difficult in later stages. Plaque is a sticky mix of bacteria and food debris that coats the teeth. If it is not quickly and completely removed, it can harden to tartar. This is highly irritating to the gums, opening up tiny areas where bacteria can invade. Gum disease is a chronic infection caused by bacteria penetrating and breeding in the gums. Gingivitis, the earliest stage of gum disease, is inflammation of the gums. As bacteria attack the soft tissues and bones that support the teeth, gingivitis worsens into periodontitis. At this stage, you are at risk for severe decay and tooth loss, and the infection can begin to affect your overall health. Below are some common warning signs of gum disease. If you notice any of these, call your dentist right away. Healthy gums are coral or pink in color and appear even across all your teeth. They are firm to the touch with no sore or painful spots. Gingivitis causes irritation. Gums that are red, tender, or swollen, and may be sore after brushing, could be a sign of early gum disease. As gum diseases progresses, the gums begin to recede from the teeth. If your teeth start looking longer, or your gums do not seem even, call your dentist right away. These are common warning signs of advancing periodontitis. Since gum disease irritates the gums, it only makes sense that bleeding gums can result. If your gums start to bleed during brushing or flossing, or when eating crunchy foods, let your dentist know. Worsening gum disease can cause small pockets of pus to form between the teeth and the gums. These small areas may be hard or soft, but always feel swollen to the touch. You might accidentally pop a pocket while eating or brushing, and suddenly notice a very bad taste in your mouth. In later stages of gum disease, these small pockets can develop into large, extremely painful abscesses. The bite is the way that the teeth fit together. As gum disease progresses, bacteria eventually make their way into the bones and support structures of the teeth, causing them to loosen. If your teeth no longer fit together the way they did, or if you have a partial denture that sits weirdly in your mouth, you may have worsening gum disease. Late-stage gum disease often causes the teeth to loosen and shift around. This is a serious red flag that you are on your way to tooth loss. Call your dentist right away to save your teeth. The majority of adults have some form of gum disease, and many do not realize it. Early gum disease is easy to halt and reverse, but there are steps your dentist can take even in the later stages to minimize the damage. If you experience any of the above warning signs, make a dental appointment as soon as possible. If you are ready to treat your gum disease with a trustworthy, skilled, and compassionate dentist, contact Artistic Family Dentistry of Silver Spring today at 240-641-5828 to schedule your first appointment.